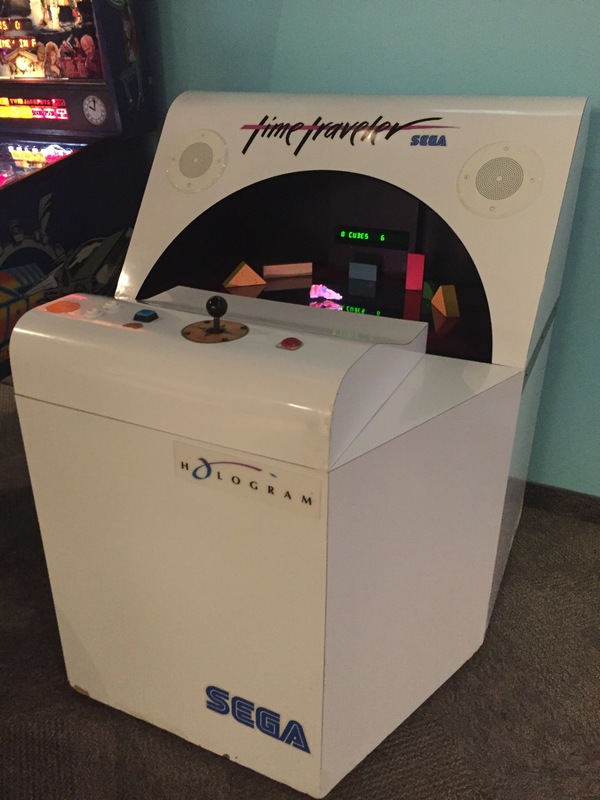 Sega’s “Time Traveler” arcade game. Justifiably not in the hall of fame. Photo by Eric Stevens. In Rochester, NY, where every day is a day for play, today is a little bit bigger. The Strong, home to the National Toy Hall of Fame and International Center for for the History of Electronic Game, among others, announced the third class of nominees to the World Video Game Hall of Fame. Some titles return from previous nominations, as well as some new additions, though it may be a stretch to call 1981’s Donkey Kong “new”. Nominations were open through February 28. Six games will be inducted after a public voting period and revealed early this summer. Visitors to the museum can view the current inductees and play a wide range of arcade classics today. Photo by Reed Hoffman, Democrat and Chronicle. Published February 27, 1988. I know “Sweet Little Sixteen” is about a girl, but that was about the age that music became a major part of my life. Rock and roll was about fifty years old at the time, and I learned it backwards. I traveled through time, learning who influenced my favorite artists, then who influenced those artists, and eventually, it all came back to one man: Chuck Berry. He was never given the royal treatment, but he crafted the crown that Elvis wore. His influence – whether directly, or through the white artists that made his music acceptable – has shaped more than six decades of popular music, from The Beatles and The Rolling Stones to every guitar player, big or small, playing today (or in the past, if they accidentally traveled back to 1955). It’s easy to listen to his many hits today and hear a generic, 1950s rock and roll sound, but those records broke new ground in popular music, pushing lyrics and the electric guitar to new levels. Ms. Gomperts was not as enthusiastic just a year later, however. While her July 15, 1956 piece began with the line “Man, it was cool!,” her September 18, 1957 article was titled “Rock ‘n’ Roll Show Solid – Solid Noise, That Is.” Perhaps she deterred Berry from returning to Rochester, for his next performance in the City of Rochester was August 1, 1985, just a year before joining the inaugural class of the Rock and Roll Hall of Fame. The “Rock Roll’n Remember” package tour also brought Frankie Avalon and Johnny Rivers to the downtown festival site. Three years later, on February 26, 1988, he returned to Rochester, performing two shows at the Renaissance Theatre on Liberty Pole Way. Like so many acts in the years since then, Rochester was passed over for Syracuse and Buffalo on subsequent tours, though Berry would perform at the Nazareth College Arts Center in 1968, and at SUNY Geneseo in 1995. For the latter half of his career, Berry traveled without a band, picking up a local group to support him at each stop. In 1988, he was supported by a band led by Chet Catallo. Unfortunately, I have failed at finding which local bands backed him in 1985 and 1995. Hopefully, they remember.